Welcome to 2014. If you haven't read my Calendar, Blazing Games is going Monthly for this year. 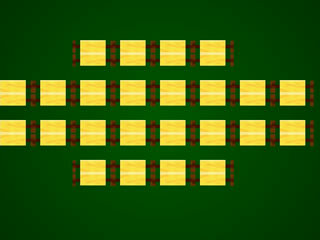 This Month's game is also my New Year's Game Jam entry. 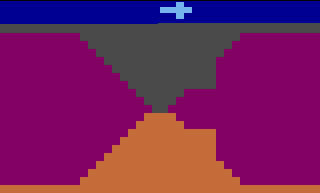 This game requires you to smash the complementary color as quick as you can (a table of complementary colors is in the about section of the game). In protest to the attempt to trademark the word Candy, the CandyJam game jam was set up and is running until February 3rd. Anybody who knows me knows what I think about IP law (read my Development blog if you are curious) so my participation in this game jam was without question. This game is a bit rougher than I would like but the title really is a reflection of what the game is about. 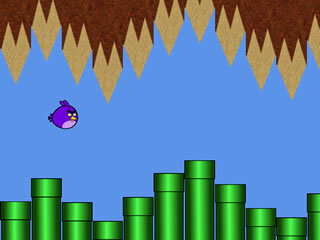 The Flappy Jam was a game jam with the goal of creating a Flappy Bird type of game using inspired (but original) artwork. This is my entry for the game. 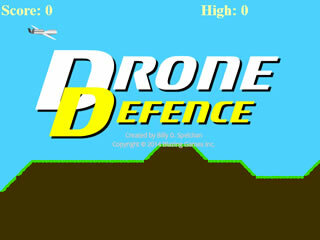 It is also my first Unity game. Mini-Ludum Dare #50 had the theme of Demakes. This is when an existing game is taken an remade as if it were created for an older system. The oldest gaming system I ever used was an Atari 2600 so I decided to go with that platform. While I didn't have time to actually create the game on a 2600 (If enough people email me with interest I would actually consider doing so) but did take pains to make sure the game could be done within the harsh 76 cycles per scan-line and 128 bytes of RAM constraints of the system so Coffee Quest 2600 is quite possible to create for the 2600. 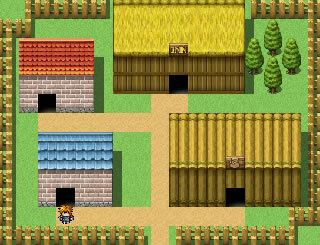 There was a big RPG Maker contest durring June. While I had intended to enter it, there simply was not enough spare time to finish the game so I am instead releasing my first ever RPG Maker game. It is titled first as it was my first simple project. 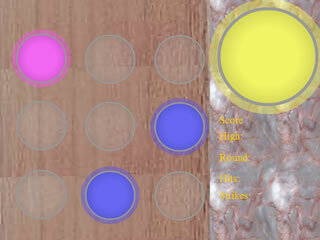 The game is fairly short but for those of you who wondeer what my test projects look like here is a good example. 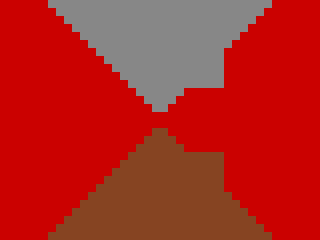 A simple side-scrolled with randomly generated terrain. Not quite as finished as I would have liked, but for my first attempt at playing with the Haxe language using the OpenFL library. 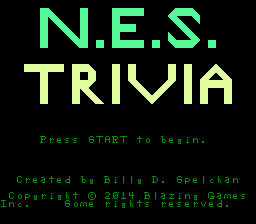 Copyright © 2014 Blazing Games Inc. All Rights Reserved.